How To Start A Blog in A Limited Budget? Blogging should be an easy job, won’t it? After all so many people are getting into blogging? So many people are making their fortunes out of blogging? It’s not. Blogging might seem easy at first, but it’s one of the hardest tasks and massive risk is involved. Especially for the newbie bloggers. Firstly, they don’t have enough capital to start off with. And to maintain a website these days, you need all the necessary stuff like SEO software and email software, but due to being new in the blogging industry, you might not have enough money to buy all them. That is, you end up imposing constraints on your budget due to lack of money. 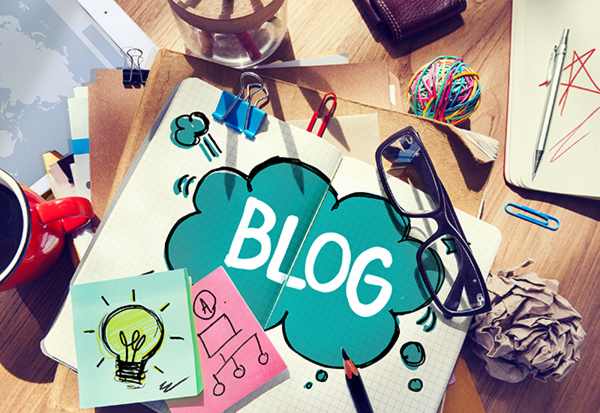 Even if you have a low budget, you can still have a fantastic blog running. Don’t hesitate because you don’t have enough money, you can still run a well-efficient money. It’s all about the right planning and investing your money in eight places, it will get all of your major things done even if you have a low budget. So here you go. There are several types of hosts available on the nets, and can be divided into free hosts and paid hosts. If you want to make money off your blog, its better you go for paid hosting and have a self-hosted website like that of WordPress.org. If your primary motive is not that of earn money than free hosting like Blogger.com will do good. As it will save a lot of your money. As a tip, I would like to say that it’s better to start with self-hosted than switching to self-hosted from free hosting. Your first expense might start out this stage. The problem with free hosting is that it offers unprofessional sounding domains like myblog.wordpress.com or myblog.blogspot.com. It’s better to go for a custom domain like myblog.com which will be short and easy to navigate to. You can buy a cheap domain name from service like Namecheap that costs you about $3.95 annually and also gives you WhoisGuard, a great utility for privacy protection. Some hosts like BlueHost directly offers a domain name, thus saving both your money and time too. For self-hosted blogs, hosting is one of the most important parts. You should buy a host that offers both a good uptime and fast speed so that it doesn’t affect your search rankings and at the same time doesn’t ‘shoo away’ your readers. The top two choices are—BlueHost and Hostgator. BlueHost offers plans starting from $3.95 per month for 2-years, $3.49 per month for 3-years. Unlike HostGator, BlueHost charges you annually. If you are not satisfied with the service, you can cancel the service anytime; and your refund will be delivered instantly. If you don’t want to pay annually which will cost you much, and want to pay on the monthly basis, you should better go with HostGator. The theme is the face of the blog. It has the power and ability to attract or repel your readers. You can get stunning-looking professional themes from Genesis Studio (by Copy Blogger) but their themes usually run into more than $50 which might eat up a significant chunk of your budget. You can search online for several great themes that are free. And if you are on self-hosted WordPress website, you can easily customize it and add on various types of plugins to increase the functionality. Nobody would like to read paragraphs after paragraphs without having any type of image. They attract user’s attention and drives your users to the blog posts. You will find out top websites like HuffingtonPost using large and colourful images for their posts. While those images come from stock websites whose subscription you have buy. That’s simply not an option for you. You can find stylish and great looking images from websites like Pixabay and Creative Commons, which offers copyright-free good looking images that you can easily use for your website’s posts. At times, you might find yourself in various types of problems related to website’s SEO, theme and much more. You can easily join a blogging forum and asks your questions out there. And read free books on blogging by top authority websites like Copy Blogger, which will help you build a comprehensive knowledge about blogging. Most of the times, you get free ebooks on various topics by simply subscribing to their email list.